"At the time, every technician was responsible for visiting 10 natural gas compressors a day," Begler said. "They only found out about issues when they arrived on site or when the owner-operator alerted them to a problem. It was an entirely reactive way of conducting business." "Instead of one technician being responsible for 10 assets, that same technician can now manage 20 assets, while providing the same or better service to customers," Begler said. "Because technicians know in advance what's happening with the units they visit, they're able to respond to downtime issues more quickly." "Many of the field technicians are new to the business, and they don't always know the best way to respond to the data they receive," Begler said. "By pulling some of its expert technicians into these dispatching centers, the company can provide better guidance to the field. They can dispatch technicians to the right place with the right parts before a mechanical problem occurs." This approach again led to an improvement in the company's technician-to-compressor ratio—one individual is now responsible for 30 units—and another 30 percent operating cost reduction. "They're using the system to create automated service tickets, schedule preventive maintenance work based on actual run hours and make better decisions about inventory and parts storage," Begler said. "Another benefit is the ability to better predict when a downtime event may occur, so they can take action before it becomes a bigger problem." 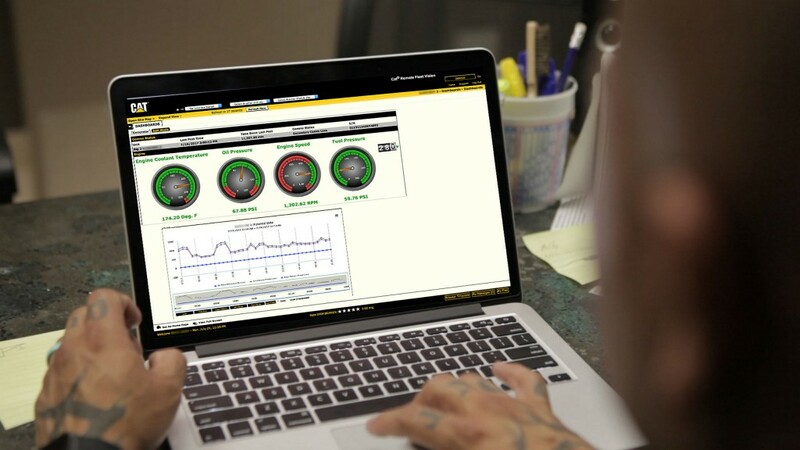 In addition to Asset Health Monitoring, a variety of Cat Connect hardware, software and dealer service offerings are available to help oil and gas customers take advantage of the data generated by today's equipment. Begler encourages companies to start simply by getting their fleets connected. "You don't have to do everything at once, but when you begin changing your day-to-day business practices, you'll begin to see the value," he said. "It's a journey, and Caterpillar and Cat dealers are with you on that journey. We'll work with you to apply the appropriate technology to help achieve the gains you're looking for in your business. The results can be significant."